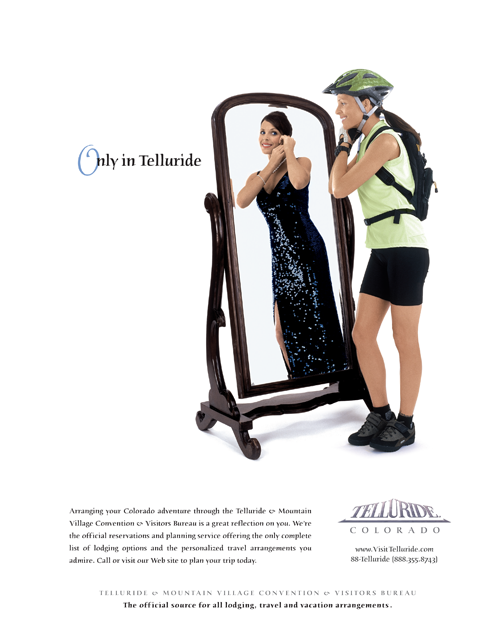 Telluride, Colorado Only in Telluride. This cool, star-studded little town tucked high in the Rockies is the envy of many for its upscale indulgence and barefoot bluegrass attitude. 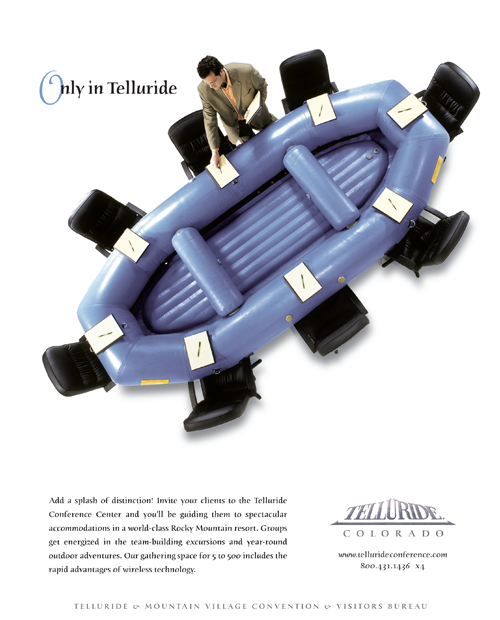 We created a brand that would break through the plethora of mountain scenery flooding the market. Standing out was the high-end jet set rubbing elbows with hippies at the ballet. "These images really jump out at you. 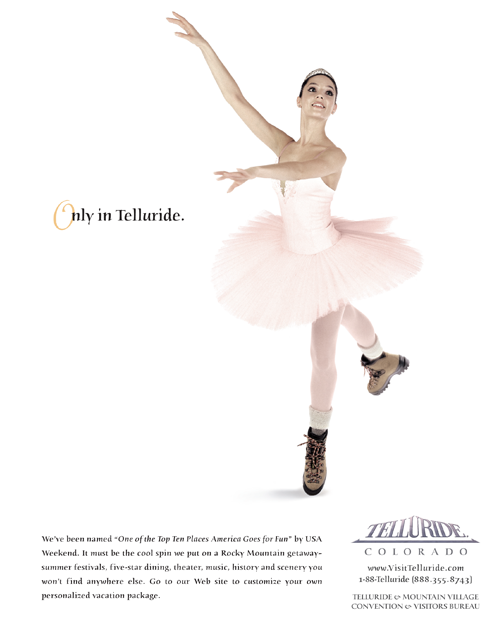 They speak volumes about the creative and fun spirit of one of America's most treasured mountain towns." 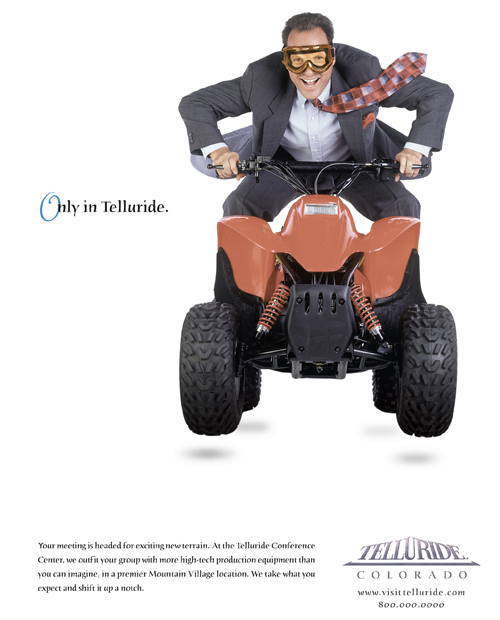 The "Only in Telluride" theme provided powerful graphics and a fun message. Internet visitation doubled in the first year and occupancy increased by 2%. 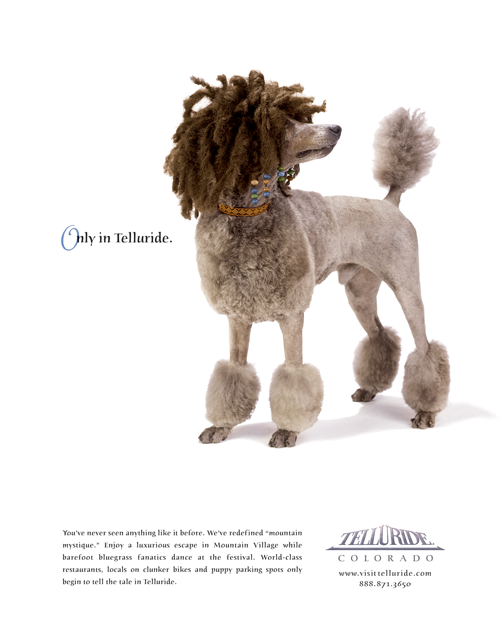 The campaign received the coveted Adrian Gold Award for Complete Campaign, Silver in Group Travel Sales category, and Bronze for Outdoor Advertising.